Which Meat Will Reign Supreme? 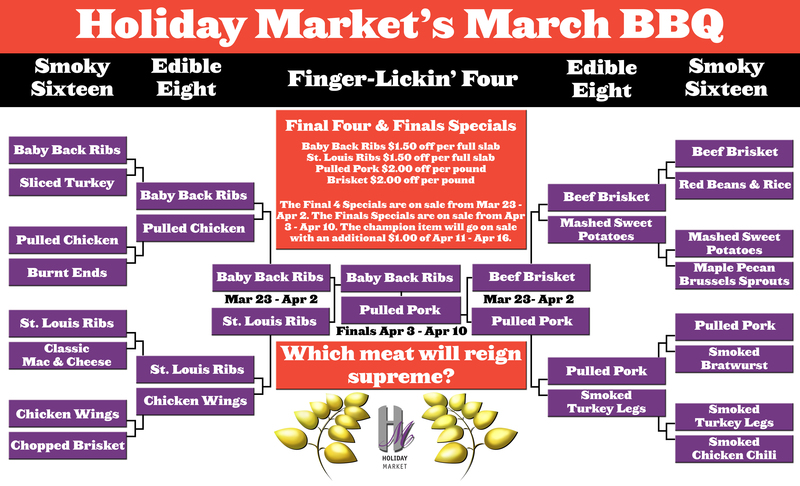 From March 23 – April 10 enjoy March Madness specials on Baby Back Ribs, St. Louis Ribs, Pulled Pork & Brisket. The champion meat will be an additional $1 off April 11 – April 16.